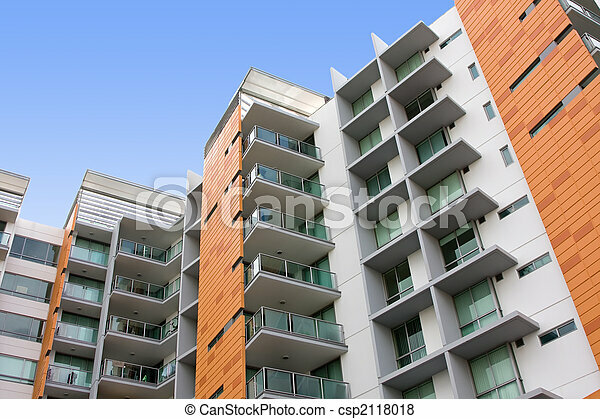 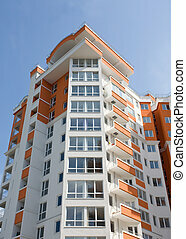 Modern residential apartment building. 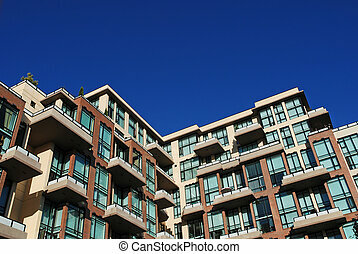 View of a modern residential apartment building, with blue sky in background. 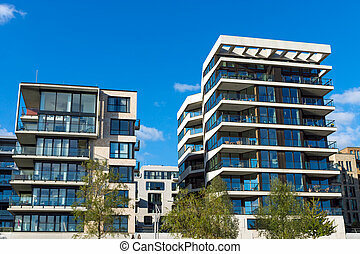 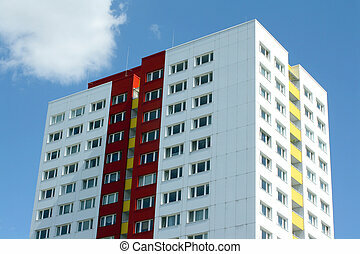 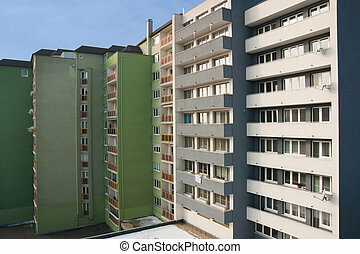 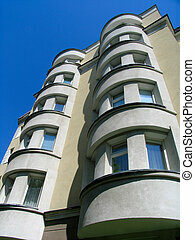 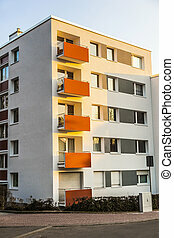 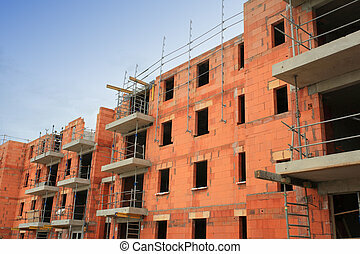 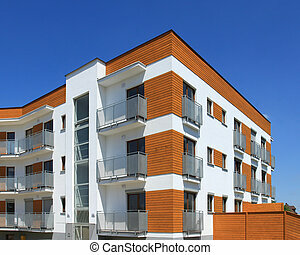 Average contemporary apartment building in Poland. 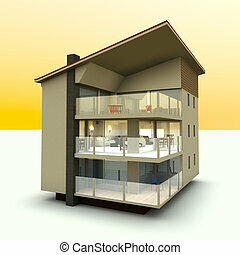 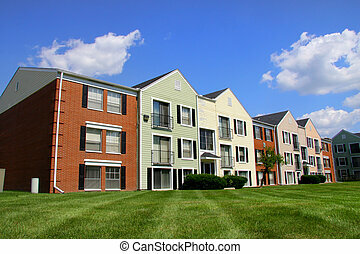 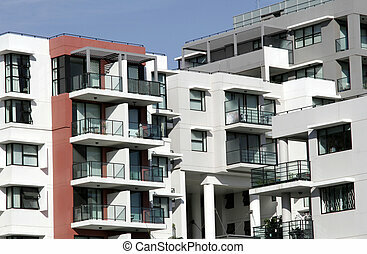 Generic residential architecture. 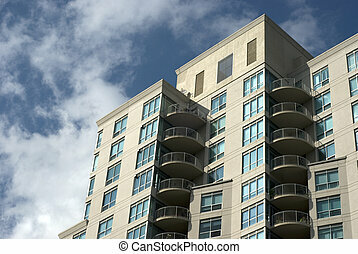 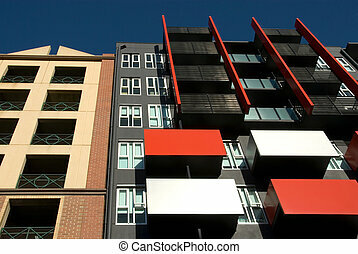 Modern and new apartment building.Multistoried modern, new and stylish living block of flats. 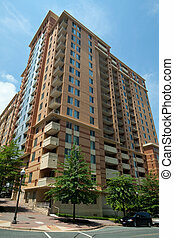 Vertical modern apartment building in Rosslyn Virgina, right across the river from Washington, DC.